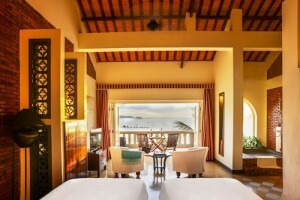 AVANI Hotels & Resorts is a vibrant new upscale brand in exotic destinations. The growing collection of resorts now includes AVANI Quy Nhon Resort & Spa, which has just been rebranded from Life Wellness Resort Quy Nhon, and offers a tropical beach and spa retreat in a prime location along Vietnam’s south central coastline. Here holidaymakers looking for all the right ingredients for relaxation with attention to the details that really matter, have their dreams answered by this refreshing new hotel and resort concept. Getting to AVANI Quy Nhon Resort & Spa is a hassle-free experience. Quy Nhon Airport is a 50 minute drive away, with daily flights operating from both Ho Chi Minh City and Hanoi. Guests can also catch daily trains from Ho Chi Minh City and Da Nang. Travellers arrive to find a postcard perfect shore, with a backdrop of orchard covered mountains. The resort’s kilometre long, palm fringed, private beach boasts some of Vietnam’s most pristine sands and clearest turquoise water. Adding to the coastal allures, guests can reach the resort’s private island by kayak or have a local fisherman ferry them across, and then unwind into a day of swimming, snorkelling, fishing, sunbathing and picnicking in a world of their own. When it comes to a good night’s sleep or simply hiding away for a few restful hours, 63 guest rooms and suites are designed to relax, entertain and inspire. Contemporary style is brought to life by hints of Vietnamese culture and Champa Kingdom heritage. Private balconies reveal a spectacular sea view and guests can sit on the balcony to watch the waves, or rest inside on a cosy sofa chair enjoying international satellite channels on the large LED television and catching up on emails thanks to WiFi. 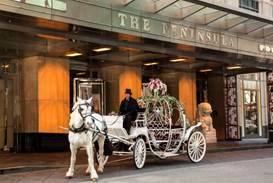 Guest rooms offer 42 to 48 square metres of total living space, and suites a more generous 51 square metres. All rooms and suites can sleep two adults and two children or three adults with an extra bed, and the option of adjoining rooms and suites caters comfortably for families and friends. AVANI understands that a major ingredient for a great holiday is the pleasures of food and drink, and each outlet’s minimalist naming highlights an honest approach to tasty satisfaction. DINE, with cliff-side tables, a fresh sea breeze and stunning coastal views, is open all day. SIP provides a casual, tropical poolside retreat, where lazy days of sunbathing are refreshed by exotic juices, smoothies and iced teas, accompanied by delicious light lunches and a long cocktail list to indulge in as the sun sets. LOUNGE, as the name suggests, is designed with cosy sofas for quiet moments, as well as books and games for socialising and light replenishment and is open until late. Adding a fourth dimension, In-Room Dining allows guests to DINE, SIP and LOUNGE in total privacy. In the tranquil surrounds of the resort, guests can play beach games, fly a kite, or snorkel, kayak, fish and cruise the waves aboard a traditional Vietnamese basket boat. Bicycles available at the resort can be ridden to a nearby lake and orchard or a local fishing village. Vietnamese cooking classes, cocktail making sessions and an orchard tour introduce vibrant local elements, and Vietnamese language lessons are free every day. At the spa, an extensive treatment menu features therapies with nourishing indigenous ingredients, pampering packages and the therapeutic benefits of extended programmes. The spirit of indulgence continues in the beauty treatment rooms, steam baths, Vichy showers and a Japanese dry sand and salt sauna, followed by healthy beverages on the spa deck overlooking the garden. A beachfront pavilion offers revitalising wellness activities, including daily complimentary sunrise yoga and afternoon Tai Chi. Private wellness classes are also available, including meditation and massage. 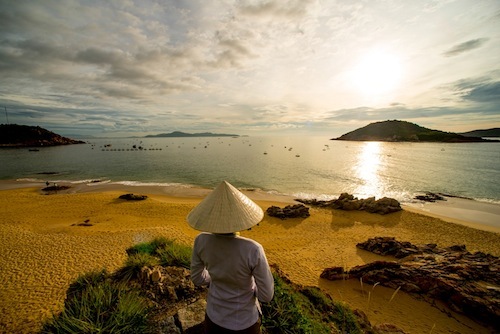 When it comes to exploring, Quy Nhon and the surrounding area offers a well rounded mix of culture, history, stunning scenery and local flavours. A fresh water lake in the nearby mountains is a great place to fish and a floating village restaurant dishes up superb seafood specialties. A local handicraft village is renowned for its pottery, woodwork, blacksmiths and rice hats, while Quy Nhon City is home to ancient Cham temples and pagodas, a bustling market and a fascinating history museum. The name ‘AVANI’ stems from the Sanskrit word for ‘earth’ – a meaning which is expressed through a grounded personality and simple sense of style. Each charming resort exhibits a passion for design, an emphasis on tailoring details to deliver complete satisfaction, and service that is genuine and spontaneous, by listening to guest needs to create a seamless and pleasurable stay.